Classic and simple way to carry your artist brush or tools , best gift for crafters! It also can be a stunning clutch for your day and night out or even a bridesmaid gift! 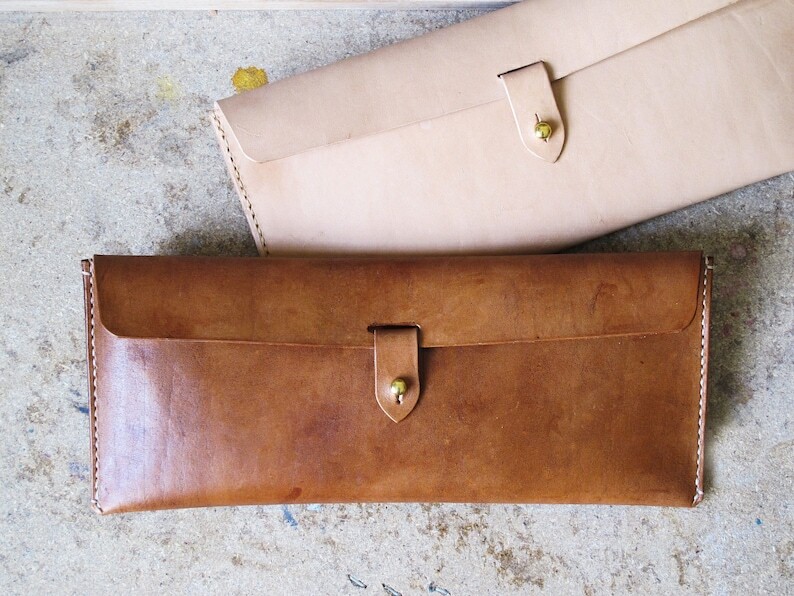 Vegetable tanned leather available in a selection of colors; natural or hand dyed vintage brown. Pattern and color hand dye/painted and vanished with high quality leather paints. A-Z & numerals 0-9; Letter size 0.25” Height), leave me the information for custom stamp when you check out. Parts / material may vary. Minor infractions and natural inclusions are unavoidable in some leathers, it's just the charm of natural leather . I bought this as a present and it was very happily received. I could not be happier with the service and quality of production.